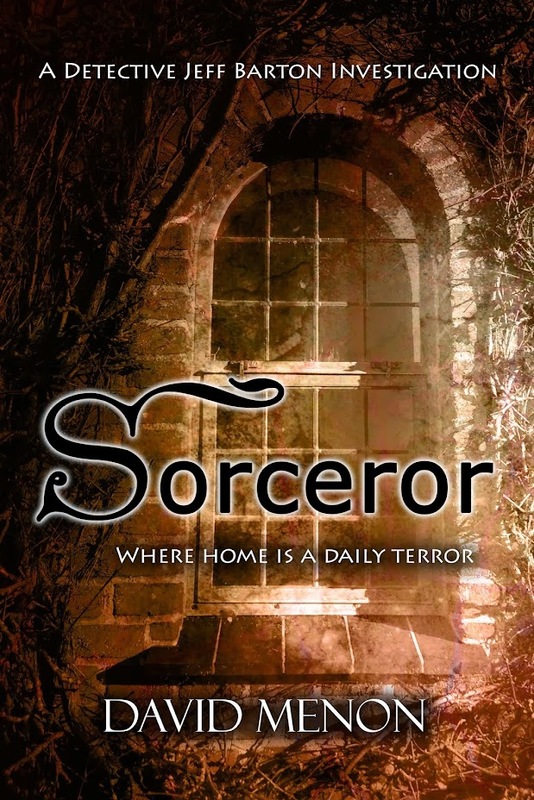 SORCEROR : Well Hello there! Well look, welcome to my blog! This is going to be mainly about my writing but knowing me there'll probably be a few other bits of chit chat and whatnot. You know the kind of thing. I'm very excited because I'm going to preview my new book 'SORCEROR' with you. You can see the boss cover I've got for it! Atmospheric? Yeah. Indicative of the story? You bet ya! And you won't have to wait long. This is interesting because it's a departure for me. It's the first in a series featuring my new detective Jeff Barton and I think you're going to like him. So what can I tell you about Jeff? Well he's thirty-five, a Mancunian, a Detective Superintendent and a man who's grieving over the sudden death a few months ago of his wife from an aneurism. Jeff was devastated to lose her so young and he's now a devoted father to their five year-old son Toby. His deputy, Detective Sergeant Rebecca Stockton is more than just attracted to him but either he isn't picking up on the signals or he is and he's trying to say that she's not his type. Either way, she's going to have to be patient and wait for the right opportunity to come along to let him know how she feels. And it will come. She hoped so anyway. Meanwhile they make a first class team and in 'SORCEROR' the remains of three bodies are found in a house close to Manchester university that's being renovated. One of the skeletons is of an infant, another is of a child. What happened there? Their investigations point to an horrific story of abuse that went on against teenage boys when the house was a children's home and even though they track down the manager and his wife from that time, they escape before justice is served. Or is justice going to be served another way? When Jeff figures it out the race is then on to find a killer who's come up with a complicated but ingenious plan to exact his revenge. So, interested? Well, I'll be posting the first chapter on here in a few days. The book will go on limited release on 11th November on payhip, amazon, kobo, and smashwords. Then it'll be everywhere else on 1st December. I'll let you know as things roll on and I'm now hard at work on the second book in the series which is going to be called 'Fireflies' and it'll be out in the early part of next year. In the meantime I'm nearing completion on a book that's set in Australia and features a private investigator called Stephanie Marshall. It'll be out at the end of January next year and I'll be posting more about it nearer the time. Now I'm not turning my back on Sara Hoyland! Oh no, I'm just giving her a rest for a while but she'll be back next year and there may be a few changes in store for her. So watch this space! Please let me know what you think and when I can, I'll get back to you. So long for now and I'll be back with you soon.